6. What are the risks associated with orthodontic treatment? Any orthodontic treatment leaves the patient at risk of hard and soft tissue damage, but proper care and hygiene, as well as proper clinical procedure by the Orthodontist, lessens the risk of this damage. Patients should consult their Orthodontist to see if they are subject to any more risks while undergoing treatment. These risks are why “Do It Yourself Orthodontics” is always inadvisable. 7. What kinds of foods and beverages do I need to avoid during treatment? Generally, you should avoid foods that are sticky, hard or chewy. Sugary foods should also be avoided, because having braces can make it more challenging to brush and floss away the sugar that remains in the mouth after consumption. Also patients should avoid coffee, tea, soda and any drinks that are sweetened, acidic or may stain your teeth. 8. Do I still need to see my general dentist during my treatment? Yes. Your orthodontist will continue to monitor your orthodontic treatment and the progress you are making while straightening your teeth, but according to the American Dental Association, your dentist is still the best caretaker for your overall dental health. Your dentist is the first line for detection of decay, so it is always essential to maintain regular dental visits to your general dentist. 9. How long will it take before I start to see results? Exciting changes in tooth movement can be seen as early as 4-6 weeks! The speed of tooth movement will vary from patient to patient. Factors such as age, amount of crowding, teeth grinding, certain medications, density of bone, and the patient’s metabolic rate can affect speed of tooth movement. Patient compliance factors, such as wearing rubber bands, maintaining good oral hygiene, and not breaking or loosening brackets during treatment will also affect results. 10. My friends complain about their braces or aligners hurting them. Are mine going to hurt, too? The placement of braces or starting aligner therapy does not cause discomfort. Most patients experience mild soreness the first four days to a week after their braces, expanders, and/or wires are placed and after a wire adjustment. 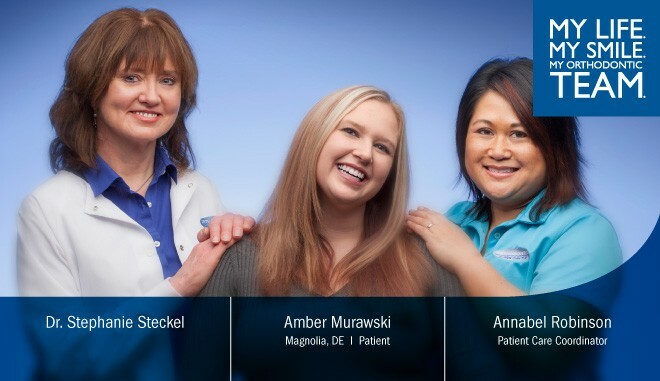 Aligner therapy patients experience less discomfort, in our experience at OSL. Most patients do adapt to the soreness, but if not, this minor pain can be relieved with over-the-counter medications such as Ibuprofen or Acetaminophen. to schedule the start of your new smile, with Dr. Stephanie Steckel at Orthodontics on Silverlake. Dr. Stephanie Steckel is a diplomat of the American Board of Orthodontics, and started her Dover orthodontic practice in 1995. She is a graduate of UCLA School of Dentistry, and she completed her postdoctoral specialty education at the Georgia Health Sciences University in Augusta, Georgia. 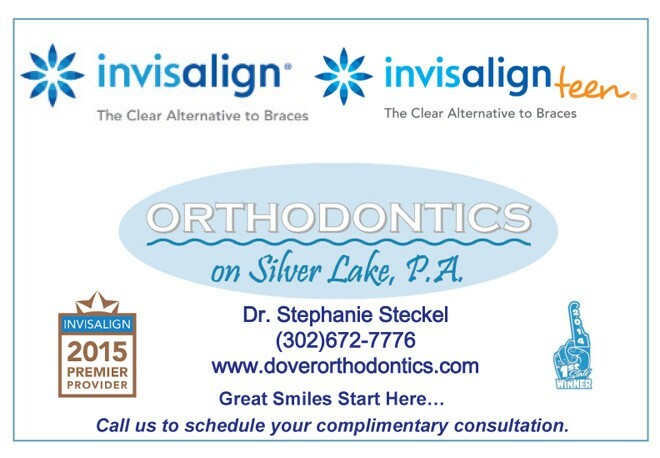 At Orthodontics on Silver Lake (OSL) in Dover, she and her OSL team provide excellent orthodontic experiences and results for her patients. The science behind orthodontic treatment continues to evolve, in many cases resulting in greater comfort and predictability for our patients. Dr. Steckel’s experience as a general dentist prior to specializing means more coordinated care with your family dentist. Our OSL team is also proud to support the local community in numerous educational, sports and volunteer activities.